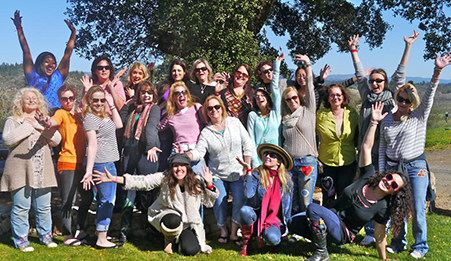 Spend a powerful, fun and transformative weekend surrounded by beauty & the sisterhood of other awesome women, breaking free of negative self-talk and self-sabotage to unlock more happiness and success in your life! As a result make choices that lead you to create more happiness & success and a life aligned with the truth of your heart & soul. 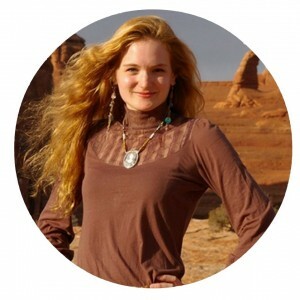 Get intimate with your personal Inner Mean Girl and take back the control of your mind, emotions and actions – expose what triggers her, why you created her, what she thinks her job is, and what her main weapons and skills are. Release and rewire the negative thought patterns and self-sabotaging habits that are like broken records inside your psyche and life you are sick and tired of listening to! Learn to tell the difference between the voice of your Inner Mean Girl and the sage guidance of your Inner Wisdom so you can make choices that support you instead of sabotage you – Most women sabotage themselves because they don’t know how to distinguish between their two inner forces. By the end of this weekend, you will have the super power to tell the difference. Stop being so hard on yourself, putting so much pressure on yourself, and freaking yourself out – You’ll get the self-love antidote for the most toxic, self-bullying habits we women suffer from… Comparison, Setting Unrealistic Expectations, Perfectionism, Obsessive Worrying & Thinking, Self-Judgment, Busyness, and Over-working and Over-giving. Receive simple but mighty tools to use in your every day life to help you find compassion for yourself when things don’t go perfectly, give yourself permission to relax, and find your center in the midst of stressful times. You will no longer be overtaken by overwhelm, anxiety, stress, fear or other people’s stuff. Strengthen your ability and mastery to hear your intuition, trust yourself, and follow your inner truth even when it’s scary, seems irrational, or goes against other’s opinions. 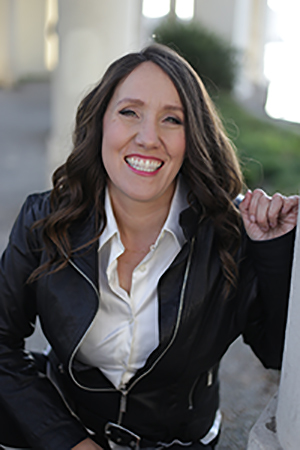 Get super power tools for building your spiritual and emotional muscles in your every day life so that when you face big choices – in your career, relationships, money, and health – you can follow your inner truth, no matter what. Gain trust in a different way of getting things done and approaching your life – a “Feminine Super Power” way – that creates more spaciousness, true success and happiness for you. Learn some ancient feminine wisdom applied to our modern times so you can unplug from the crazy making, i-have-to-do-it-all machine and begin to create a more sustainable life for yourself based on what truly makes you feel happy, successful and supported. The most important relationship in your life is your relationship with YOU. When you transform that, everything else transforms naturally. Oh… and did we mention that you are going to give your Inner Mean Girl a new job that she loves, so she can support you instead of torment you! your inner critic will never be the same. No tents… good food, comfy beds and sisterhood! A sacred place and time for your Inner Wisdom to get super-charged and take back the driver’s seat of your choices, feelings and thoughts… empowering you to follow your own inner truth and live in alignment with your heart and soul desires, no matter what! 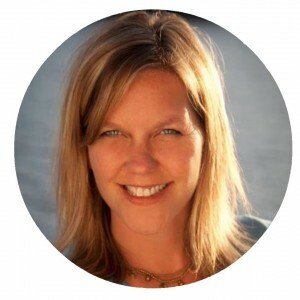 Christine is a master in creating a powerful, beautiful container for transformation of mind, body and spirit. She is one of the most competent and impeccable leaders I have encountered, and that’s saying a lot!!! 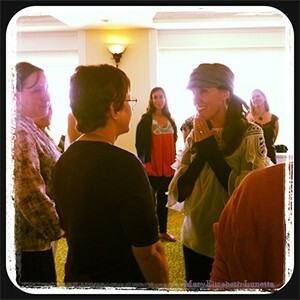 She is far more than effective; Christine’s gift is in empowering each and every person she touches. At last I finally KNOW when the B.S. Inner Mean Girl thoughts are coming up and I now have the tools to change in the moment and get back to my Inner Wisdom. 3 days with Christine and an amazing group of women in the most established yoga and holistic retreat and education center in North America. 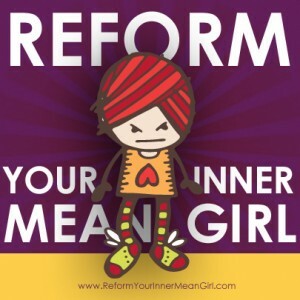 The full Inner Mean Girl Reform School Summer Camp experience – including group time, individual time, exercises, inner mean girl transformation super power tools, inner wisdom strengtheners and more. 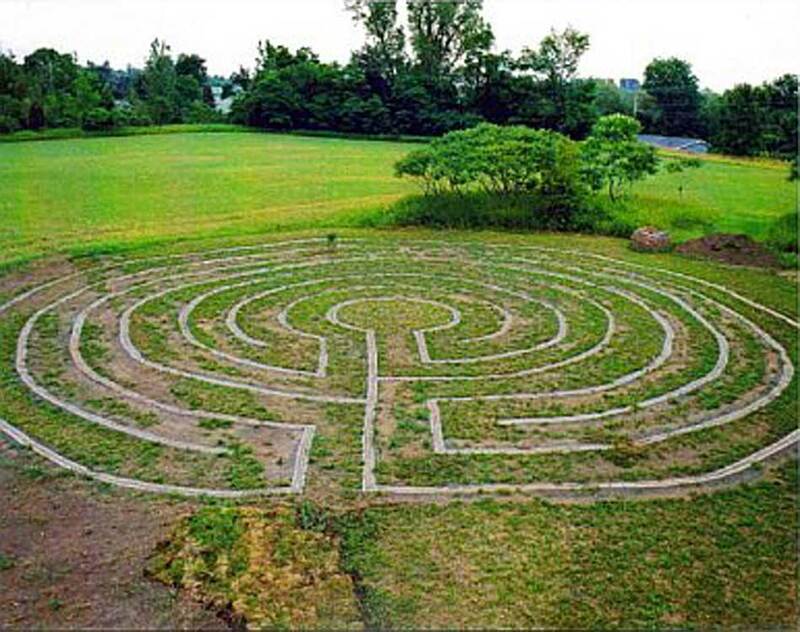 Meals and lodging at the Yoga Retreat Center – meals are included in your lodging costs. Meals include Dinner on Friday through lunch on Sunday. 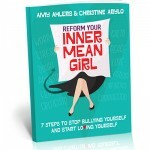 Our NEW “Reform Your Inner Mean Girl” book – Learn all about the 13 Inner Mean Girl Archetypes and which ones you relate to the most. Learn how to recognize your Inner Mean Girls negative chatter in the moment, take a pause, and tune into the loving truth of your Inner Wisdom. You’ll receive your book during the retreat. 40-Day Inner Mean Girl Cleanse – We all develop toxic habits that our Inner Mean Girls use to sabotage our happiness, freedom and sanity. Every day, for 40 days, you’ll get inspiration delivered to your inbox to help you transform the six most toxic habits into six new self-loving acts. To learn more about the cleanse, you can visit www.innermeangirlcleanse.com. You’ll receive access to the Cleanse after you return home from the retreat. Will you be offering this retreat again? This is the first time this retreat has been offered since 2012. We have no plans currently to offer this retreat again. So if your Inner Wisdom is giving you a nudge, now is the time to give this weekend experience to yourself. Christine would be honored and thrilled to spend the weekend with you! We are a big believer that when women come together, shift happens! Which means two things – one, even if you come on your own, if you are seeking sisterhood with other women, this retreat is the perfect way to connect, share and relate with like-minded women. 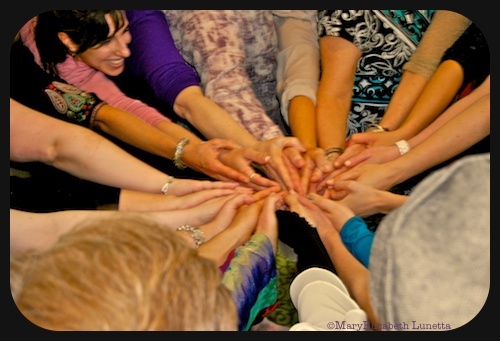 Amazing friendships have been created through women coming together in circle. Two, sharing an experience with someone close to you – or someone you would like to be closer to – can be a great way to strengthen your support system for when you return home. You will have a personal “love line” to call on when you have Inner Mean Girl attacks! Invite a friend! If she can come, great. And if not, come on your own and make some new friends. Transform your Inner Mean Girl. Empower your Inner Wisdom. 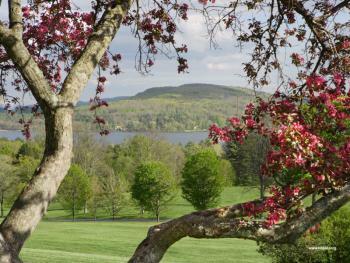 Meals and lodging at the Kripalu retreat center – meals are included in your lodging costs. Meals include Dinner on Friday through lunch on Sunday. 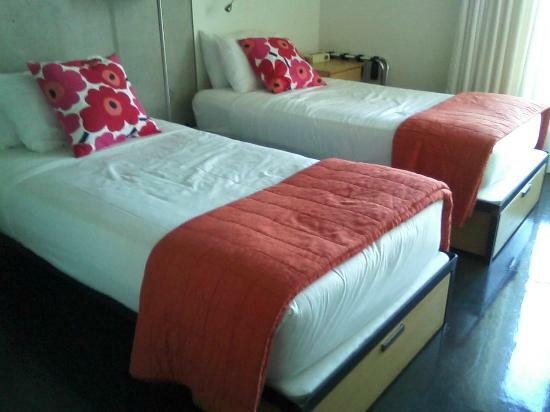 (Signing up will direct you to another page where you’ll select your room choice. Many times after attending one of these heart and spirit opening experiences, you go back into your life, and while you have changed, not everyone else has! we’ve got your back!! You’ll have the opportunity to be part of a community of people dedicated to self-love and living a life guided by their own inner truth, no matter what. 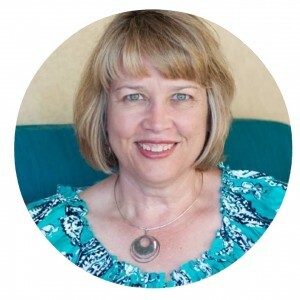 We’ll be here to guide you to integrate and support you moving forward using the power of all the self-love and spiritual mojo we created together. This is a VERY intimate and exclusive retreat so don’t delay, your adventure begins the minute you register. We are looking forward to having a transformative and fun weekend with you (and your Inner Mean Girl & Inner Wisdom)! She is a master in creating a powerful, beautiful container for transformation of mind, body and spirit. She was kind, supportive, encouraging, and appealed to every single learning style conceivable (covering scientific types, emotional types, visual types, etc). And most of all, she was GENTLE with us, using love and humor to encourage us to grow. It truly changed my life… Before, I thought the mean voices in my head were just me. Now I have a voice that loves me for who I am, right now. Before I attended IMGRS, from an outsider’s perspective, I seemed to have it all. I was a smart, successful, single woman in her mid-to-late 30s with a great job. My inner reality was different. I worked all the time in an effort to be well-liked, well-regarded, and to matter. I felt increasingly stuck and depressed. Today my life is radically different. I am madly in love with myself and my body, and will never again settle for less than what my heart and soul desire. The Vicious IMG only occasionally rears her ugly head and usually at a fraction of her former vileness, embodying one IMG archetype at a time. In Summer 2014, I quit my job so that I could take a year off and go deeper on my spiritual path. I am taking care of myself, facing my fears, going on adventures, and living a more open-hearted life. I even started dating again. In this present moment, I am happy, healthy, and fulfilled. Is this weekend retreat for you? Compare yourself to your friends, colleagues or even strangers? Find yourself measurably inferior – or superior? Struggle to make decisions because you’re afraid of choosing the wrong thing? Have a hard time saying, “no,” and end up over-committed, exhausted, and overwhelmed? Put everything and everyone first – and yourself last – and you feel burnt-out and desperately in need of a break (from work, from your kids, from life!)? Sabotage your own best efforts, even when it comes to things you really want? Criticize and judge others – and you don’t stop there. One of your favorite people to criticize? Yourself. Make mistakes and then obsess about it for hours, sometimes even days? Go to sleep with and wake up to your “To Do” list running in your mind? Strive for perfection or fall victim to procrastination and get stuck in the ‘getting ready to get ready’ mode, so nothing materializes as fast as you’d like? Worry that you are screwing up your life, career, business, kids, relationship, etc? Feel anxious, try to control anything and everything? Find yourself obsessing? Always busy, always DOING, and NEVER relaxing. Not even for a moment. You don’t have TIME to relax? Find yourself at the center of drama-filled relationships, whether they’re romantic or otherwise? If your answer to any of these was YES, then get you and your Inner Mean Girl signed up for Summer Camp right away and register for this fabulous, fun, fiery weekend. only your sanity, peace of mind, and happiness to gain. Take a stand for women you care about & make it a girls weekend! 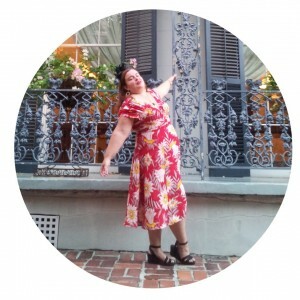 Pass this invitation on to women who compare themselves way too much, or don’t recognize enough how fabulous they are, or just seriously are way to hard on themselves. Gather a big ole’ group of girlfriends for this life-changing weekend. You can kick negative self-talk to the curb together! Oh yeah!! !